The Stormcloaks are a rebel faction led by Ulfric Stormcloak that you have the option of joining. They seek to defeat the Imperial Legion that controls most of Skyrim, end the Empire's rule over the land, and turn Skyrim into an independent country. They primarily rely on the use of axes and other melee weapons in combat, and use hit-and-run tactics to gain advantage over the larger Imperial armies. Most of the eastern half of Skyrim is currently under Stormcloak control, with the critical Whiterun Hold in central Skyrim remaining nominally neutral but friendly to Imperial traffic as the events of Skyrim unfold. If you chose to follow Ralof to escape Helgen during the quest Unbound and then from the keep either accompany him on the road to, or leave and rejoin him in Riverwood, Ralof will invite you to join the Stormcloaks and direct you to Windhelm. In addition, Stormcloak soldiers encountered across Skyrim will likewise invite you to join their side, and the quest will be added to the log if it hasn't been earlier. Regardless of whether or not you have previously received the quest, you can travel to the Palace of the Kings in Windhelm and talk to Galmar Stone-Fist and request to join the Stormcloaks, at which point Galmar will give you an initial test, as detailed at Joining the Stormcloaks. You can join the Imperial Legion and fight against the Stormcloaks instead. Completing the Joining the Legion quest will cause you to automatically fail the Joining the Stormcloaks quest. However, the next quest for both sides is to find the Jagged Crown (Imperial or Stormcloaks). If you choose to bring it to the other party instead, you can still join them. Three achievements (50 points; 2 Bronze and 1 Silver) are unlocked by completing either Civil War questline (either Stormcloaks or Imperial Legion). Liberation of Skyrim is the overarching quest governing the individual battles of the war. Each Imperial-controlled hold in Skyrim must be liberated, one at a time. Which holds are Imperial-controlled depends upon negotations during Season Unending, and therefore only a subset of the following quests need to be completed. 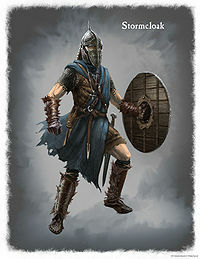 See Liberation of Skyrim for more details. A False Front: Find and deliver some forged documents to the Imperials. The Battle for Fort Hraggstad: Take this fort for the Stormcloaks. Camps of Stormcloak soldiers can be found in each hold of Skyrim except for Eastmarch. 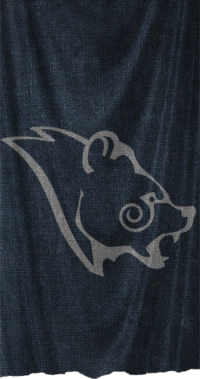 These are marked on the map with the displayed bear pawprint icon. Stormcloak camps only exist in holds controlled by the Empire, and vice-versa, meaning these camps may not exist, depending on the player's chosen side and progress in the Civil War. The alternative is that you join the Imperial Legion and fight against the Stormcloaks. Joining the Stormcloaks may cause random spawn groups of Imperial Soldiers to attack you, and you will not be welcome in Imperial camps anymore. A random encounter occurs where you meet three Imperial soldiers escorting a captured Stormcloak soldier. The Stormcloak may be freed and his captors killed or disabled without attracting the usual bounty. The captive runs to the Windhelm gates, disappearing if he successfully makes it to them. Escorting the escaped captive yields no reward. If you encounter Stormcloaks in their camps at any Hold while wearing Imperial Armor, they may question your decision on your armor and suspect you of being an Imperial Spy. If you admit that you support the Empire, they will attack you but if you tell them that you don't mean anything by wearing it, they will allow you to stick with your choice of armor in spite of their distaste. If you have taken over a city for the Stormcloaks and displaced a Jarl who supported the Empire, they as well as their Housecarl and family will reside in the basement of the Blue Palace. They can be found down the corridor left of the stairs leading to Elisif's throne. For obvious reasons, they won't be happy to see you, but they won't attack you. If the Stormcloaks take control of Solitude, a Shrine of Talos will be added to the Temple of the Divines within the city. Esta página foi modificada pela última vez à(s) 18h33min de 2 de agosto de 2015.